Dash into a brand new adventure as a wild Fox! For the first time ever, choose from THREE PLAYABLE FOXES! Hunt down food in the forest, raise a family of foxes, and raid the village’s farms for berries and tasty livestock like goat, chicken, sheep and pigs! Download the Ultimate Fox Simulator today while it's 50% OFF for a very limited time! You'll need to maintain your health, hunger, thirst, and energy while ruling over your fox's wild territory! 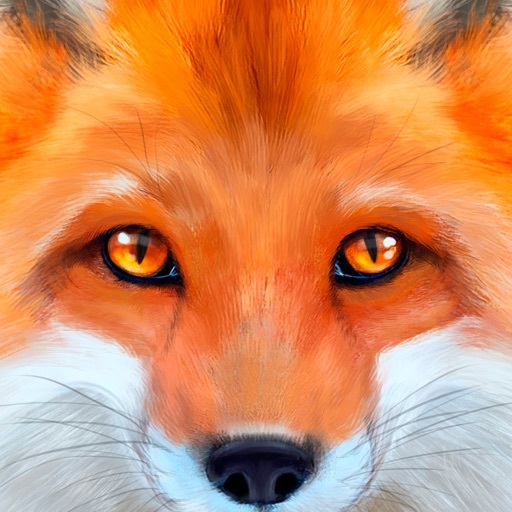 Choose from your favorite species of foxes in a single game! Brave the wintery mountains as a fluffy Arctic Fox, survive the harsh desert as a Fennec Fox, or explore a beautiful forest as a Red Fox! Each species has their own families, experience, and levels! Test your skills against FIVE thrilling boss battles! A massive arachnid hides beneath the sands of the desert! A legendary animal awaits you at the edges of the forest and will push your skills to their limits! Dominate other foxes or bring them a treat to recruit them to your family! Customize and play as any Fox in your pack and create a powerful family of predators! Breed baby foxes that will grow into powerful members of your pack! Care for you babies while they are are young, hunting food for them and carrying them in your mouth! Choose your fox's name, appearance, skills, and attributes to complement your pack members and become a more powerful group! Gain experience by catching and eating your prey, caring for your family, and completing missions! Level up your foxes to increase their health and attack damage, earn points to upgrade your fox’s stats, and increase the size of your pack! Buff Points can be used to upgrade your Bark and Growl Buffs, which create temporary Stat Boosting auras around your fox when active! Procedural weather system with unique storms, clouds, sun, and stars! And the BRAND NEW changing seasons turn leaves and grass from summer green to fall red as you play! Explore a world so big we created FOUR unique dens for your foxes to live in! Explore snow covered mountains, a dense forest, an arid desert, and even a vibrant farm! Hunt down a huge variety of animals like the Chicken, Mouse, Rat, Raccoon, Sparrow, Pig, Sheep, Scorpion, Rabbit, Goat, Fish, Wolf, Deer, Ibex, Boar, Moose, Skunk, Crocodile, Lizards, Beetles and more! Download the Ultimate Fox Simulator to transport yourself to the a wild world filled with hidden wonders and live the life of a real Fox! If you liked living as a Fox then you'll love our other animal simulators! Download our Ultimate Wolf Simulator and live a wild life in the forest, or turn the Ultimate Dinosaur Simulator and discover a long lost Prehistoric World of Dinosaurs! Give us a shout and let us know what you want to play next!